Constellation Brands has acquired a minority stake in the recently reopened Nelson’s Green Brier Distillery through its new investment unit, Constellation Ventures. Marking the second major investment for the US venture capital firm, Nelson’s Green Brier Distillery will continue to operate independently, producing, marketing and selling its own products. Constellation Brands launched Constellation Ventures in August last year to identify small-scale investment opportunities related to “innovative concepts” and “emerging categories”. The unit made its first investment with bottled cocktail brand Crafthouse Cocktails, co-founded by Diageo Reserve World Class 2014 winner Charles Joly in 2013. 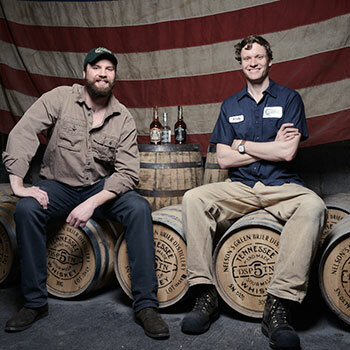 Nelson’s Green Brier Distillery produces a variety of American whiskeys, including Belle Meade Bourbon, Belle Meade Bourbon Sherry Cask Finish, and the Nelson’s Green Brier Tennessee White Whiskey brands. Originally founded in 1860 by German immigrant Charles Nelson, the Tennessee-based distillery was one of the largest whiskey producers in the US before a statewide Prohibition forced it to close in 1909. In 2014, Charles Nelson’s great-great-great-grandsons brought Nelson’s Green Brier Distillery back into production. “Nelson’s Green Brier Distillery brings together two of today’s hottest trends in spirits – whiskey and craft,” said Bill Newlands, executive vice president and chief growth officer of Constellation Brands. Charlie Nelson, CEO of Nelson’s Green Brier Distillery, added: “Nelson’s Green Brier Distillery was an established whiskey business pioneered by our great-great-great grandfather, and we are honored to continue his legacy.